The glyph 'woman' is after 'man' so why does 'sow' come before 'boar' etc? How gratifying it has been this week to see the role played in decipherment of Linear B by a woman—Alice Kober—finally being acknowledged in the New York Times! The ‘code’ in which the elusive Mycenaeans wrote their lists was cracked because several scholarly minds, British and American, male and female, had cumulatively applied their brains to the problem over the course of several decades. 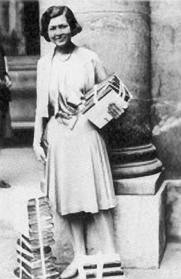 Kober was on the verge of full decipherment when she died young, in 1950. 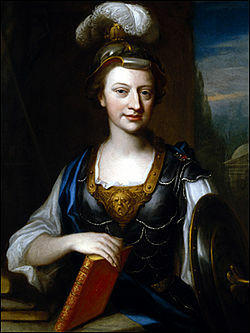 Many other outstanding female classical scholars remain unsung. Two months ago, with my colleague Rosie Wyles and student Lottie Parkyn, I convened an international conference devoted to unearthing them. We chose the date to mark the centenary of the birth of Jacqueline de Romilly, outstanding French Hellenist and first ever woman to be nominated to the Collège de France. But we also unearthed Lusia Sigea, the 16th-century Spanish humanist who actually made a living out of teaching Latin and Greek to other women. The foremother of Dutch women classical scholars, Anna Maria van Schurman, was a leading light of the Dutch Golden Age; her wit and intelligence shine through her Latin treatise Whether a Christian Woman Should Be Educated, available online in English translation. The 18th century saw Anne Dacier showing the French how to do Classics with erudition and style, and in England Elizabeth Carter enthralling Dr Johnson with her command of ancient Greek and translation of Epictetus. By the late 19th, the study of classics was central to the campaign to secure African American women education in the post-emancipation USA. Excavating these ancestral figures is fun and inspiring. I want to build a library room in which their portraits hang in the alcoves alongside the standard-issue tired clergymen and bewhiskered dons. Actually, we will be building a virtual gallery, online or in print or both, so my wish will soon enough come true. There has been a two-month delay in writing about this conference. The reason is that celebrating anything felt entirely inappropriate given the absolutely tragic death in America during it of Professor Kate Bosher, a superb young scholar and the kindest person with whom I have ever worked. I had just reviewed a fine volume by her for the Times Literary Supplement on Feb. 1st and can scarcely believe she is dead. She was only thirty-eight, leaves a husband, a young child, and a painful hole in the lives of many friends and colleagues. The output from Women Classical Scholars conference will of course be dedicated to her memory. Exactly those words have been ringing round my head.. Thanks so much. Re Alice Kober and the history of the decipherment of Linear B.
I have read the article on the NYT website by Megalit Fox and some of the comments on her book The Riddle of the Labyrinth: The Quest to Crack an Ancient Code. In my opinion, Fox is overstating her claim that Alice Kober was all but forgotten by history (which, in Fox' words anyway, is «always written by the victors»). This simply is not true. Both John Chadwick's account (never mentioned in her article) and Maurice Pope's history of the decipherment acknowledge explicitly (but perhaps not enough) Kober's fundamental role in the process leading up to Ventris' solution of the riddle. Personally, I don't think the story of Alice Kober needs this dramatic exaggeration to be both interesting and poignant. Fair enough... I can see that the article was rather one-sided. But I was certainly never encouraged during my studies at Oxford, which included being taught by (the excellent teacher and kind man) Maurice Pope, to think anyone had contributed anything except the 'brilliant minds' of Ventris and Chadwick. I have read the article by Megalit Fox and some of the comments on her book The Riddle of the Labyrinth: The Quest to Crack an Ancient Code. It would appear that Fox is overstating her claim (for dramatic effect?) that Alice Kober was all but forgotten by history (which, according to Fox, is «always written by the victors»). This is simply untrue. Both John Chadwick's account (never mentioned in her article) and Maurice Pope's history of the decipherment acknowledge explicitly (but perhaps not enough) Kober's fundamental role in the process leading up to Ventris' solution of the riddle. Are You Adult Enough for Aesop? May the Force of Greek Storytelling be With You!